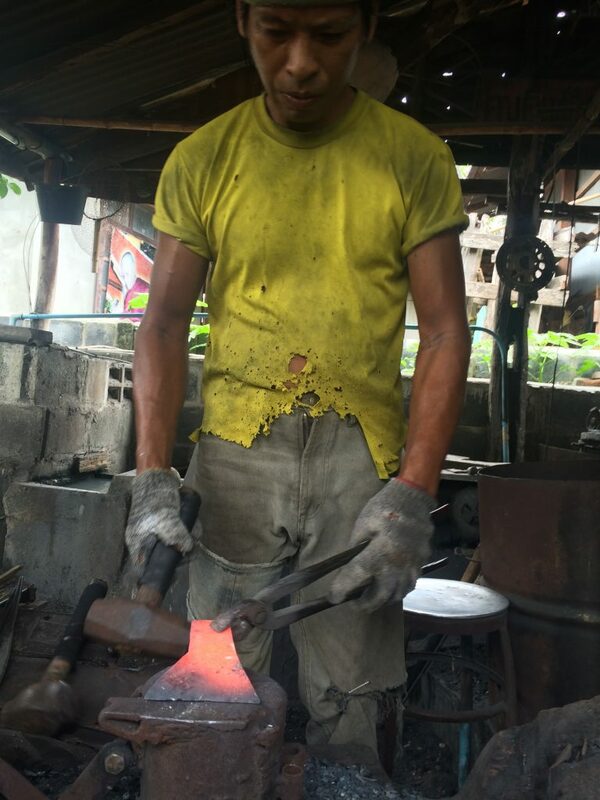 Learn How to Forge an Axe From a Thai Blacksmith in Bangkok. February 13-25, 2019. 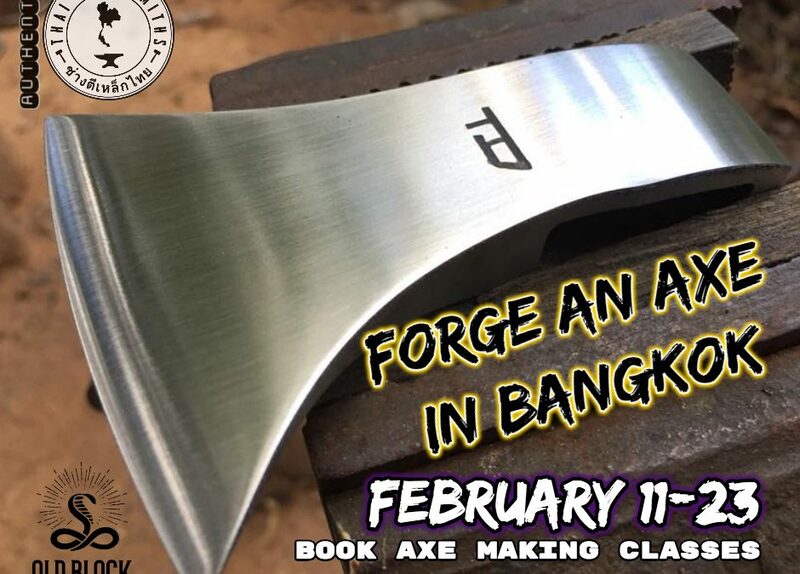 Golden Throw Axe Club is offering the exclusive opportunity to learn how to forge an axe from scratch from a Thai Blacksmith at our Bangkok venue. Reservations are limited and must be made in advance. Book a class anytime between February 13-25th. 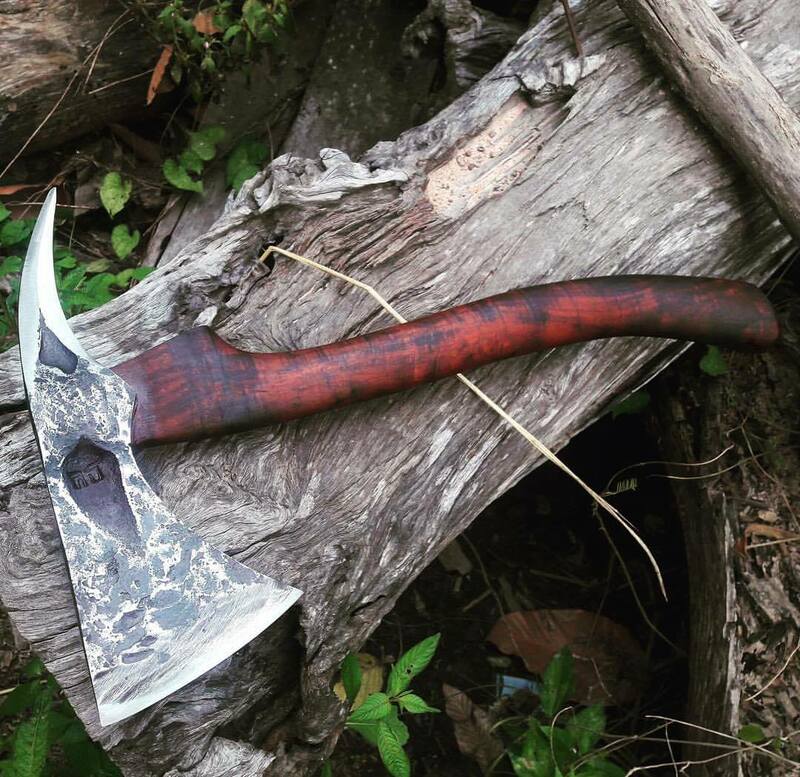 Read our blog about our previous axe making experience in Roi Et, Thailand! 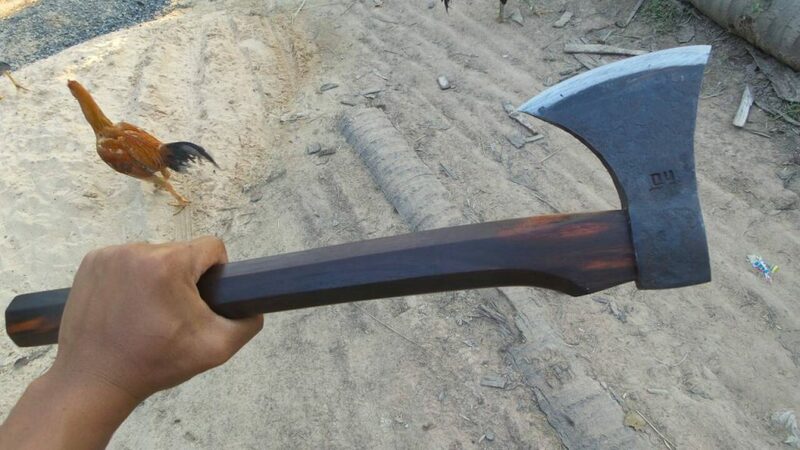 Make Your Own Custom Axe! 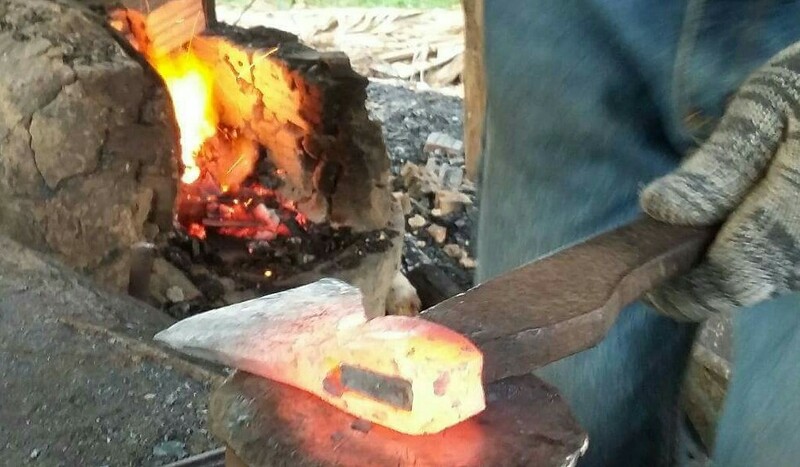 Learn how to forge an axe from a Thai Blacksmith & Axe Maker. 1-2 Day Classes available between February 13-25. 1 meal & free axe throwing! 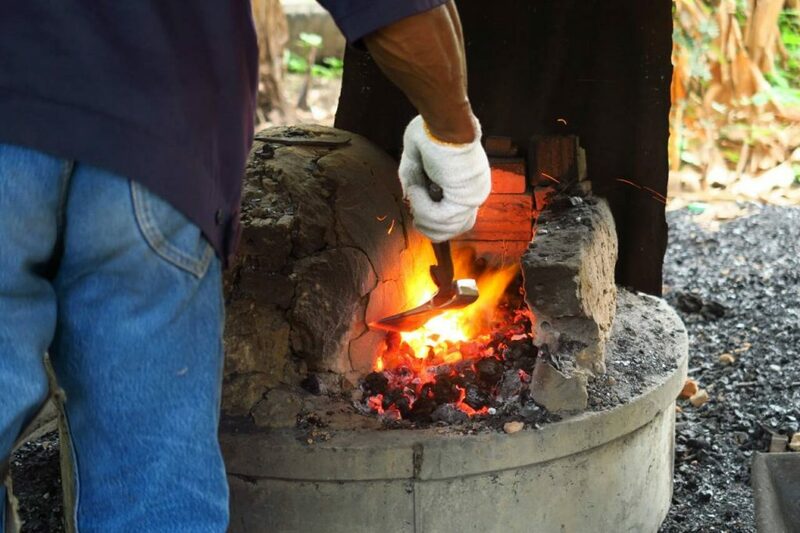 Old Block Blades works exclusively with Thai blacksmiths, knife makers and swordsmiths to showcase Thailand’s finest bladesmiths & their works of functional art, with a rich cultural heritage based in Thailand. Old Block Blades has a privately curated selection of handmade blades from Thailand, hosted in gallery format at the Golden Axe Throw Club in Bangkok, Thailand. 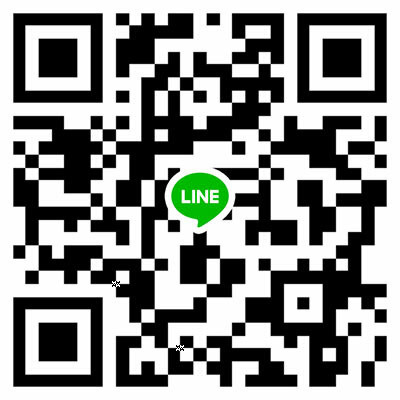 Schedule a private viewing and test out some of the sharpest, most beautiful & functional blades that Thailand has to offer!